Want to convert MPG to MP4 and vice versa? MPEG is a very popular standard for video compression. It provides high compression levels without significant loss of video quality. The most popular formats based on this standard are MPG and MP4. 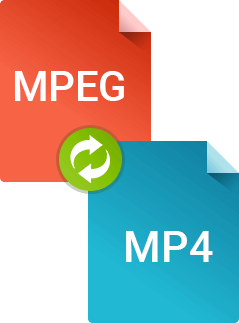 MPG videos are compressed with MPEG-1 or MPEG-2 video codecs. MP4 is based on the more recent MPEG-4 standard, which is one of the newest video formats in wide use for storing video on computers and mobile devices. To be sure that your video will play on your smartphone or portable media player, it is best to convert it to a widely supported format, such as MP4. Read the guide below to learn about two options for converting from MPG to MP4 and the differences between formats. The first option to change the format of the video is to use conversion software. 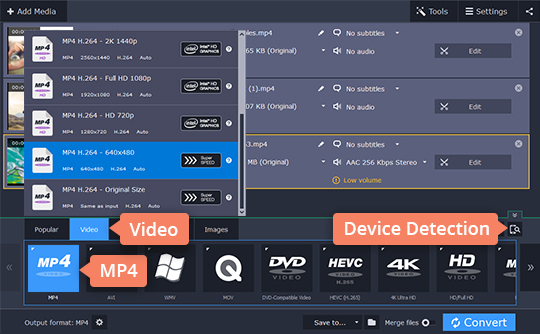 With Movavi Video Converter, you can convert both MPEG to MP4 and MP4 to MPEG. This converter for Windows or Mac supports all popular video and audio formats, including AVI, FLV, 3GP, and MP3. The program also supports batch conversion to make the process of conversion quick and convenient to use. You can even edit your videos before converting – rotate and flip clips, add watermarks and subtitles, crop and trim unwanted parts, and more. Wondering how to convert MPEG to MP4? Just follow the simple steps below. 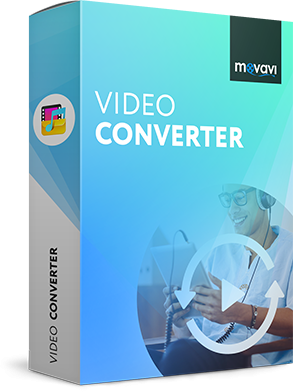 Download the video converter setup file from Movavi’s website. After the download is complete, follow the instructions to install the software. Click the Add Media button, then Add Video and select the videos in the MPG format that you want to convert to MP4. Open the Video tab. Select the MP4 preset group, then one of the MP4 presets. If you are converting video for a specific mobile device, you can select that particular device by clicking Devices. You can also let the program suggest the right preset for your device – simply connect the device to your system and hit the Cell Phone icon on the right. Specify the folder where you would like to store the converted video files by clicking the Folder icon. Now all you need to do is click Convert and wait for the process to finish. After the conversion from MPG to MP4 is complete, your videos are ready for storing on a computer or uploading to a mobile device. To transfer video to your mobile device, turn the device on and attach it to your computer. Start the uploader software on your device and follow the on-screen instructions. Another way to convert MPG to MP4 is to use an online conversion service, such as videoconverter.com. 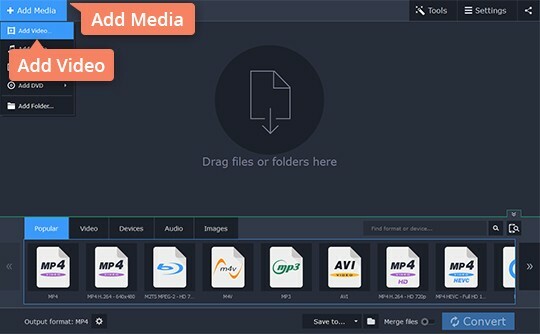 This easy-to-use converter lets you change the format of your files to MP4 in just a few minutes. If you want to convert a video only once and don’t need any additional features, this is a good option. The online conversion tool has some downsides, though – you cannot edit or compress your videos, only one video at a time can be converted, and the file must be under 100 MB. Open the website and click the Add Your Files button in the top left part of the screen. Next, choose the file and click Convert. Wait until the process of conversion is complete, and then hit the Download button to save the converted video on your computer.